A powerful multisensory installation of sculpture and sound by American contemporary artist, poet and activist Vanessa German will be on view at the Fralin Museum of Art at the University of Virginia Feb. 22 through July 7. The major work, which combines figures without their heads, heads without their bodies, found objects and ephemera, grapples with some of the most profound challenges of contemporary life, including violence, loss and inequity, particularly in communities of color and for the LGBTQ community. The installation in Virginia will combine sculpture, soundtrack and text across two galleries, creating an impactful and responsive visitor experience. Vanessa German (born 1976) is a visual and performance artist based in the Pittsburgh neighborhood of Homewood. Her community in Homewood is the driving force behind German’s powerful performance and mixed-media work, and where she sources many of the cast-off relics that form the language of her copiously embellished sculptures. As a citizen artist, German explores the power of art and love as a transformative force in the dynamic cultural ecosystem of communities and neighborhoods. She is the founder of Love Front Porch and the ARThouse, a community arts initiative for the children of Homewood. German’s work has been collected and exhibited throughout the U.S. The artist is featured in the documentary State of the Art, which will premiere on PBS in April 2019. In December, German received the 2018 Don Tyson Prize, a major biennial award from Crystal Bridges Museum of American Art that recognizes significant achievements by an American artist. The artist will be in residence at the University of Virginia during March 2019, connecting with UVA students and community members of all ages through artmaking, creative writing workshops and special tours designed to deepen engagement with the artist’s work and concerns. The exhibition, which addresses violence against LGBTQ people of color among other injustices, coincides with the 50th anniversary of the Stonewall Riots, which took place in June 1969 in New York City and marked the beginnings of the gay liberation movement in the U.S. Admission to the Fralin Museum of Art and the exhibition is free. The installation will travel to The Union for Contemporary Art in Omaha, Nebraska, in September 2019. This exhibition is made possible through generous support from the UVA Arts Endowment, through the Office of the Provost and the Vice Provost for the Arts. The Fralin Museum of Art’s programming is made possible through generous support of The Joseph and Robert Cornell Memorial Foundation. The Museum also acknowledges its in-kind donors: WTJU 91.1 FM and Ivy Publications LLC’s Charlottesville Welcome Book. Established in 1935, the University of Virginia Art Museum became the Fralin Museum of Art in 2012 in honor of a bequest of American art and service to the university by Cynthia and W. Heywood Fralin. The Museum maintains a collection of nearly 14,000 works of art, including American and European painting, works on paper, and sculpture from the 15th through the 20th centuries; art from the ancient Mediterranean; Asian art; and Native American art. 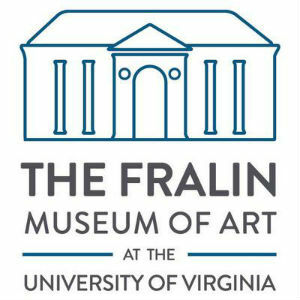 Housed in the historic Bayly Building near the Rotunda on the landmark UVA campus, the Fralin is dedicated to serving the widest possible audiences and engaging comprehensive visual education to enhance its visitors’ understanding of world cultures. Throughout the year the Museum presents a diverse selection of exhibitions, programs, research and events that bring the university and broader community together. For more information, visit http://uvafralinartmuseum.virginia.edu.